Il Cavaliere d’Italia è raffigurato nel logo del Parco Regionale del Delta del Po dell’Emilia-Romagna (ricordiamo che c’è un altro parco regionale nel Veneto), a testimonianza della sua significativa presenza nelle zone del Delta del Po. È una delle specie che una volta avvistata è molto facile riconoscere per via delle sue peculiari caratteristiche. Lunghe zampe rosse (in volo completamente distese all’indietro), becco diritto e sottile (quasi a ricordare un lungo spillo), ali neri a punta, corpo esile di colore bianco. Anche il Cavaliere d’Italia trova nei meravigliosi ambienti della Pialassa della Baiona un ambiente ideale per nidificare e per crescere i suoi piccoli (detti in gergo “pulli”). Come l’avocetta, è presente in primavera ed estate, mentre il resto dell’anno sverna in Africa. 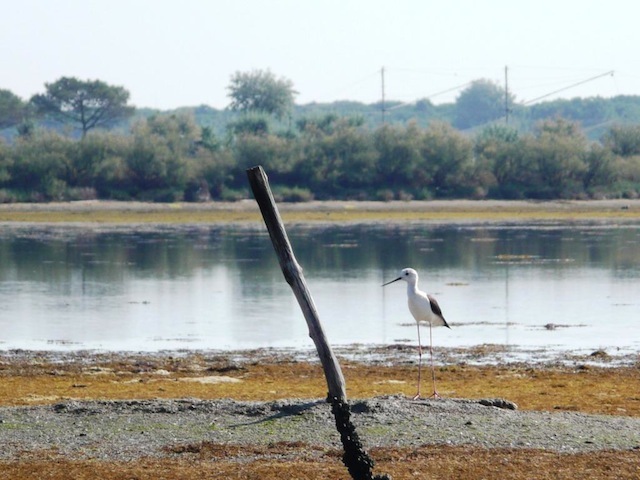 This entry was posted in avifauna del Delta and tagged Cavaliere d'Italia, Himantopus himantopus. Bookmark the permalink. I was just seeking this information for some time. Nearly half an hours of continuous browsing, at last I found it in your site. I wonder why Bing don’t display this type of useful web sites in the top of the list. Normally the top websites are garbages. Perhaps it’s time to try other search engine. Its excellent as your other articles : D, regards for putting up. “A single day is enough to make us a little larger.” by Paul Klee. Thanks for sharing superb informations. Your web site is so cool. I’m impressed by the details that you have on this site. It reveals how nicely you perceive this subject. Bookmarked this web page, will come back for extra articles. You, my pal, ROCK! I found just the info I already searched all over the place and just couldn’t come across. What a great site. I like this website its a master peace ! Glad I discovered this on google. “Irrationally held truths may be more harmful than reasoned errors.” by Thomas Huxley. Respect to article author , some good selective information . “When you cease to dream you cease to live.” by Malcolm Stevenson Forbes. thank you for all your efforts that you have put in this. Very interesting info. “Wish not so much to live long as to live well.” by Benjamin Franklin.